FAB-EPM HP® material is a mixed cell polyurethane foam specifically designed to provide low frequency vibration isolation for building and machine foundation isolation applications. FAB-EPM HP material is manufactured in different densities, which allows for optimal isolation performance. FAB-EPM HP material is supplied in full sheet form, which becomes the base formwork for a concrete foundation. This advantage creates a simple construction method to reduce overall project cost. The natural frequency of FAB-EPM HP® is dependent on load and type of material and ranges from 6 Hz to 40 Hz. The damping rate of FAB-EPM HP is 4% to 9% of critical. FAB-EPM HP is impervious to most chemicals, alkaline solutions and oils. FAB-EPM HP is supplied in rolls 1.5M x 5M and in 12.5mm and 25mm thicknesses. Permanent static loads cause a certain amount of creep (additional deflection over time) in all elastomeric materials. The long term creep of FAB-EPM HP material is very low when used in the static load range. Should I use blocks, strips or full sheets of FAB-EPM HP® isolation material under the foundation? For maximum vibration isolation, the FAB-EPM HP should be stressed near the maximum static load. 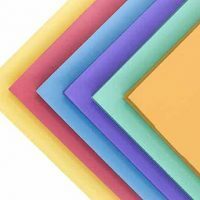 In many cases, full sheets can be used to get near the maximum static load, but in some cases, this cannot be achieved, therefore strips or blocks are needed to reduce surface area and optimize the stress. Full sheets are much easier to install because it does not require strategically placing the material in an array and covering it with marine grade plywood or steel plates. Can FAB-EPM HP be layered to achieve a thicker material? Yes, FAB-EPM HP can be layered up to 2″ to provide a lower natural frequency. What adhesive do you recommend to bond layers of FAB-EPM HP material? Fabreeka offers an adhesive (Apollo 2240-05) for bonding FAB-EPM HP layers. FAB-EPM HP layers can be bonded before shipping, if desired. Can FAB-EPM HP be cut into shapes or OEM parts? FAB-EPM HP can be die cut or water jet to meet most requirements. Fabreeka can do this in house or supply the materials as needed.